ICEPIPE is the world’s first manufacturer of high output and ultra lightweight LED lamps. ICEPIPE incorporates its patented FDP(Fluid Dynamic Pressure) cooling technology to produce high output lamps with as low as 1/5 weight and 1/4 volume of conventional lighting fixtures. This highefficient cooling solution significantly lowers the LED chip’s temperature as well, maximizing the lifespan while minimizing maintenance costs. Its 700W LED lamp is especially noted for its lightweight of 17kg and the compactness in spite of its high power wattage. For this reason, it has been widely applied to major international airports such as Incheon International airport and Malpensa international in Italy. 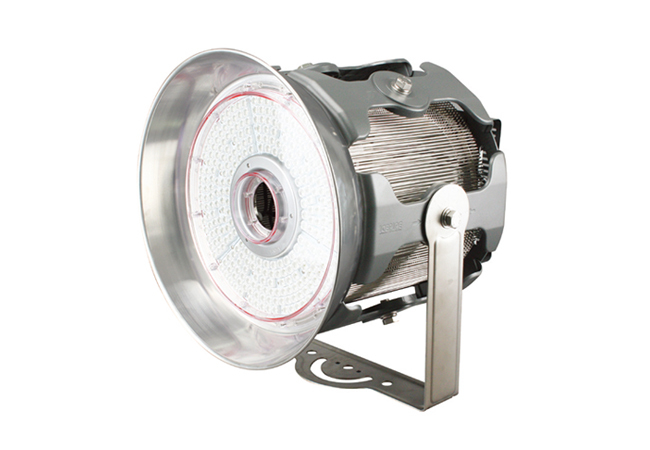 In addition, the new high bay CR2000 features socket type(39E), ensuring the convenience in installation and replacement. This range from 80W to 150Wand is getting a lot of attention because of its compactness and the lightweight of 1.7kg only. Above all, ICEPIPE holds unrivaled price competitiveness in the industry and is expected to lead the market making great progress and growing rapidly in the half of this year.